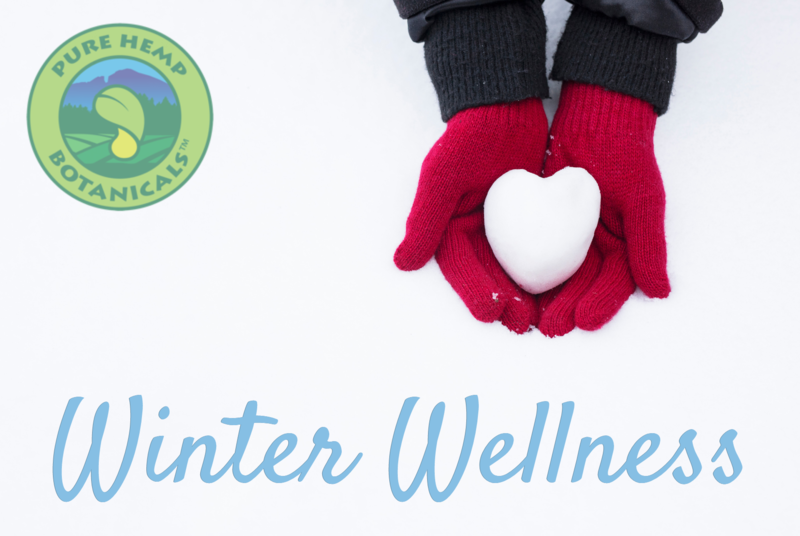 Winter Wellness: Taking Care Of Yourself During The Cold Months. Home/Healthy Lifestyle, Hemptealicious, Tincture/Winter Wellness: Taking Care Of Yourself During The Cold Months. As winter rolls into full effect it’s sometimes hard to not just make like a bear and curl up inside until the warm weather comes back. However hard it is it’s so important to take care of ourselves through the winter to stay healthy both in body and mind. The shorter days and cold weather can often make it harder to find ways to do that though so I decided to put together a list of easy things for everyone! Do yourself a favor and pick one a day or even one a week and stay well this winter! Do three sets of 30 proper crunches and then immediately go into a plank and hold that position for 60 seconds. Do this back to back with only 20 second rests between each set. This will take approximately five minutes. Now do mountain climbers in a standing position. Get your knees as high and as fast as possible for 60 seconds. Do this two times in a row with only 30 seconds rest between each set. This will take approximately three minutes. 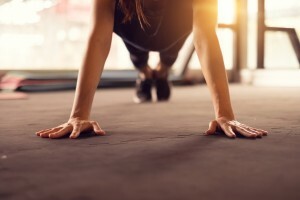 Do a push-up either on your toes or knees for three sets of 15 to 20 repetitions. On your last repetition, hold a full-body plank with a slight bend in your elbows for 60 seconds. Rest 20 seconds between each set. This will take approximately six minutes. Do a simple standing-in-place lunge with foot placement in front and back (proper positioning). Do three sets per side for 20 reps each. Immediately after this exercise, go into a regular squat. Every time you go down (eccentric phase), hold for three seconds and then come up (concentric phase). This will take approximately five minutes. Do an Isometric Superman (arms and legs elevated with chest barely off the ground) and hold that position on your stomach for 30 seconds. Right after the 30 seconds, pretend that you are swimming, and do this movement for 60 seconds. Do three sets of this with a 20-second rest between each set. This will take approximately six minutes. **As I’m doing my cool-down stretching I will often take the same Pure Hemp Botanicals Full Spectrum CBD Tincture and use it as a topical! Our tinctures are so versatile! I’ll find those muscles that I just used the most and rub it into them! I’ve found this really helps me in the days to come! So now we have your body warmed up, let’s work on your immune system! 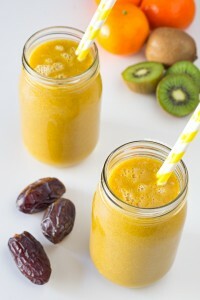 Mix the juice, tangerines, kiwis, cinnamon and dates in the blender. Blend completely. Add your Pure Hemp Botanicals Full Spectrum CBD Tincture OR whatever your CBD preference is and stir. Here comes my favorite part. Self-care is SO important! All of the time. With the shorter days, it’s so hard for me to get all the things I need to do done in the day while and then get some time. Here’s a list of things I do for myself! Make myself a nice cup of hot tea (Peppermint Mate Hemptealicious if it’s morning, Lavender Chamomile if it’s night time 😉 ) and DRINK IT WHILE IT’S STILL HOT. With a toddler, I rarely get to drink hot beverages until they’re good and cold so taking a moment to make sure I drink it while it’s still warm is a big deal on it’s own. If it’s summertime I’ll make it cold! If I don’t happen to have Hemptealicious on hand then I add a half a dropper of our Full Spectrum CBD Tincture to any flavor of tea! If I can, I drink that hot tea in a nice warm bath with some essential oils and Pure Hemp Botanicals Full Spectrum CBD tincture in it, I’ve actually even used a pinch of Crystalline Frost! Bundle up and GO OUTSIDE. Ten minutes, five minutes. However long you can just go out there and get some fresh air! Find something that’s on your to-do list that you’re never able to get to and get it done. That little thing that always nags at me in the back of the mind, even if it isn’t the biggest thing I need to get done, is always the biggest relief to check off the list! In this day in age social media can have a huge impact on your life even when we do our best to let it be on the sideline. Take a moment to get rid of anything negative that keeps popping up on your feed. No need to completely delete someone from your life BUT the mute button has always been my favorite on the remote for a reason. End your day with meditation (and CBD!) It’s a simple thing and doesn’t have to be long. But ending your day on a calm, quiet note helps you start the next day with positivity! My nightly routine consists of a dropper of Full Spectrum CBD tincture or a softgel if I’m traveling and 10-15 minutes of meditation! Need some help starting out? Check out my blog on meditation and CBD here!